Soft14: BALLOONrain - BALLLOONrain is new puzzle game for all the family, with gorgeous 3D eye candy! 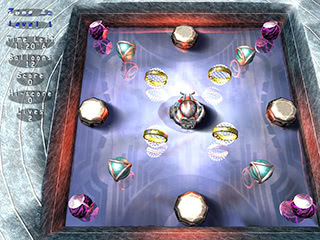 BALLLOONrain's gameplay is original and innovative. You haven't played anything like this! This puzzle game for all the family, will require thought and reflexes through more than 100 varied levels and 4 game modes. Moreover, with its powerful 3d engine, it offers you some gorgeous eye candy. Whether you are looking for 15 minutes relaxation at work or for unlimited challenges, BALLOONrain is for you!